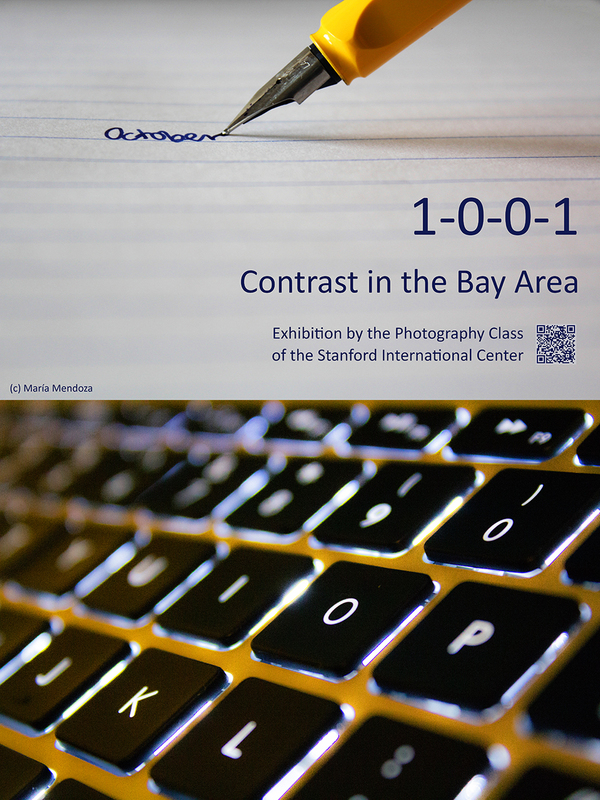 Since winter quarter 2015/16, I am teaching photography workshops in the San Francisco Bay Area, both at the Palo Alto Adult School and the Stanford International Center. To request individual classes or a portrait/family shooting on location, please email me. Learning photography is like learning a new language: We can express ourselves from the very beginning, but the more we learn the more we enjoy it. In this class we are going to explore photography as a form of creative expression and as an agent for social change. We look for gestures, lines, colors, twists. We paint with light. We get close and closer. And our cameras will open doors: We will connect with people we would otherwise not have met at all. In each class, you will get to know a different genre: landscape, portrait, macro, street and documentary photography. You will learn from famous photographers and from each other. While you will expand your technical control of your camera (aperture, shutter speed, ISO, artificial lightning) and learn some basic editing rules, the focus of the class lies on developing your personal style hands-on: in warm-up exercises, homework assignments and photo excursions. Thus you will go from taking photographs to making them and develop your personal style. If you are interested, we will work towards a small exhibition and a final photo book. The class is open to all levels, but you will get most out of it if you use a DSLR or another digital camera with controllable aperture/ shutter speed for the practical exercises. 7.) Documentary Photography: How to design a project? 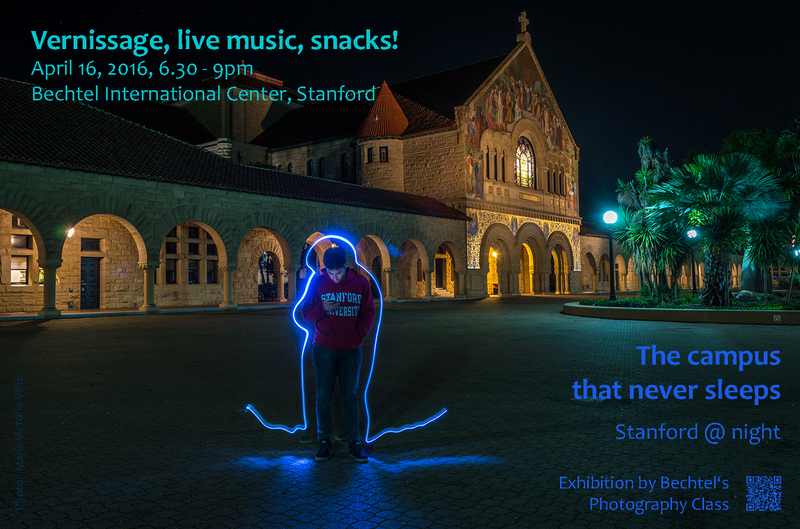 The students of my first class presented their Street Portraits on the occasion of International Women’s Day 2016 at the International Center and exhibited their “Stanford At Night” series for five months in the Assembly Room (“The campus that never sleeps”). My second I-Center class showcased their view of the Bay Area as a place of contrast – drought and downpours, low and high tech, serious and serene.